With event flowers delivered to every corner of London, Essex and the South East, you can celebrate in style with floral designs from Moyses Stevens. Luxurious and effortlessly elegant, we bring together knowledge from our 140 year history with the very best contemporary event designers, creating bespoke arrangements tailored for you. 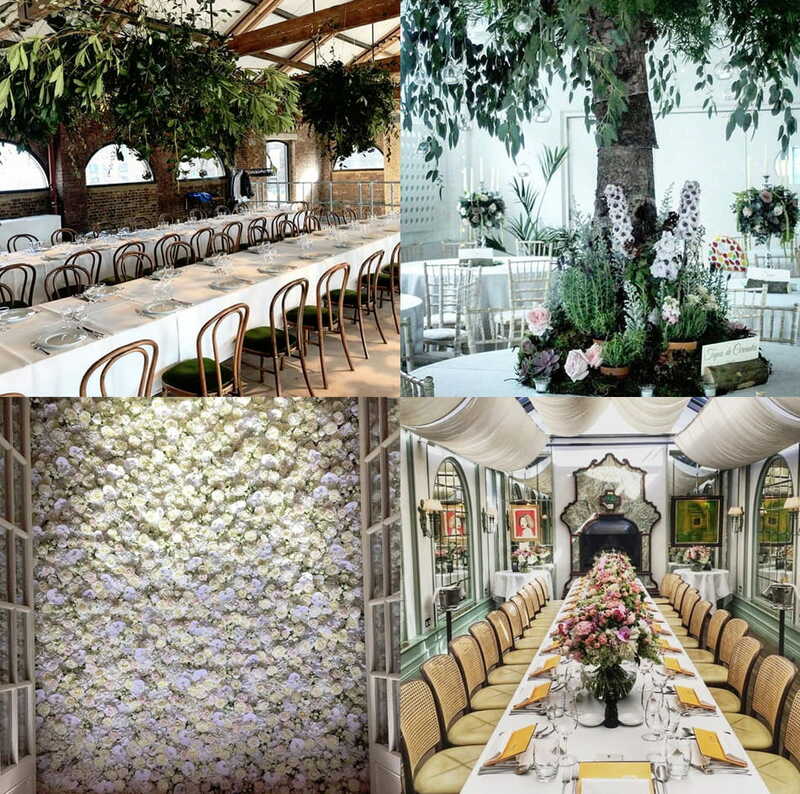 From grand balls and galas to intimate dinners, we’ve been creating unique London event flowers since 1876. Bespoke, luxurious and hand crafted by our experienced team of florists, Moyses Stevens event flowers are a cut above the rest. Our long-standing experience enables us to deliver a vast range of immaculately styled events for any pivotal celebration. Provide an outline of your event and what you might require. If you’re short on ideas, our team can make suggestions regarding sizes, colours and varieties based the particular venue. We consider all projects large and small, from simple table arrangements to spectacular centrepieces and statement designs. 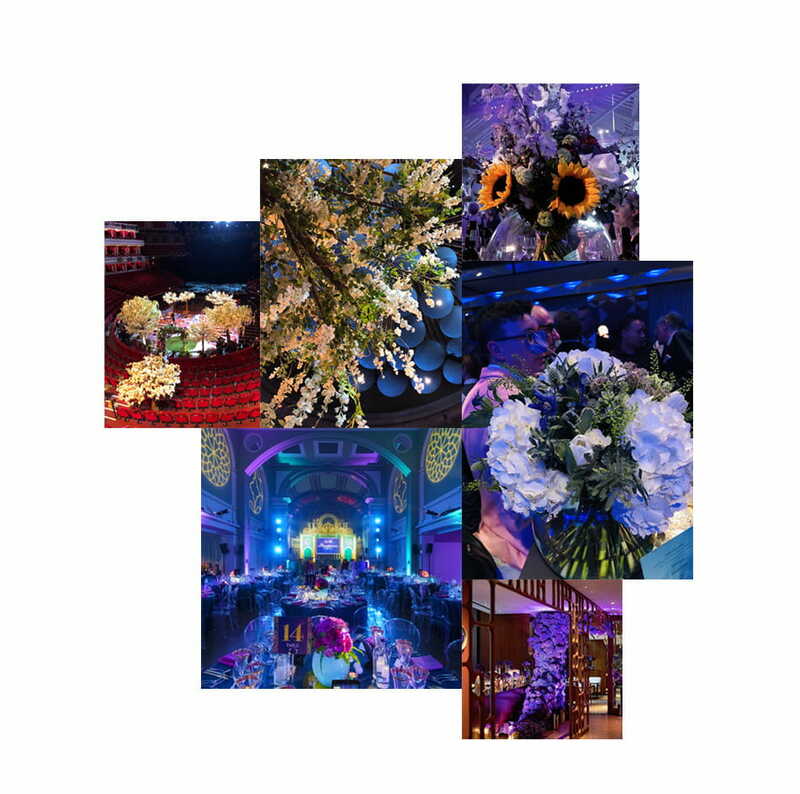 Our Events Team will send a quote for the total price of the flowers, including a detailed breakdown of the installation, delivery and vase hire costs. 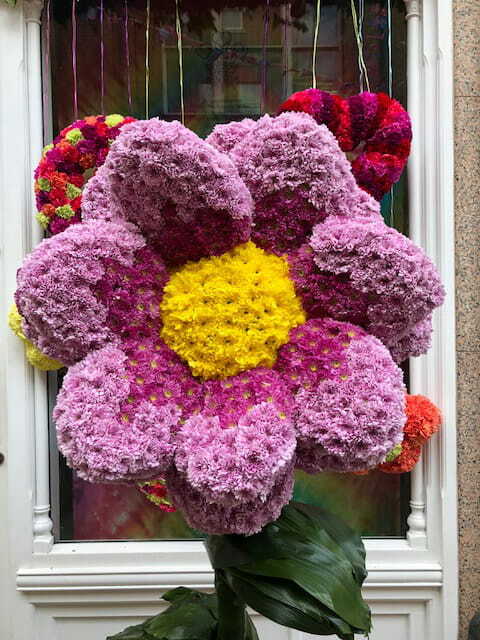 Liaising with both the event organisers and staff at the venue, our team will ensure your flowers are safely delivered and installed prior to the event. Any onsite installation will be carried out by a team of florists while collection of vases and flowers will be arranged for after the event.  Striking and bespoke, a flower wall from Moyses Stevens is the ultimate in floral design luxury. Created using either fresh or faux flowers, a statement flower wall is an attention grabbing centrepiece for any event. Ideal for corporate events and ceremonies, our large scale displays are tailored to the requirements of each client. With a huge range of vases, floral varieties and style of displays available, we work closely with you to find the perfect fit for your event. 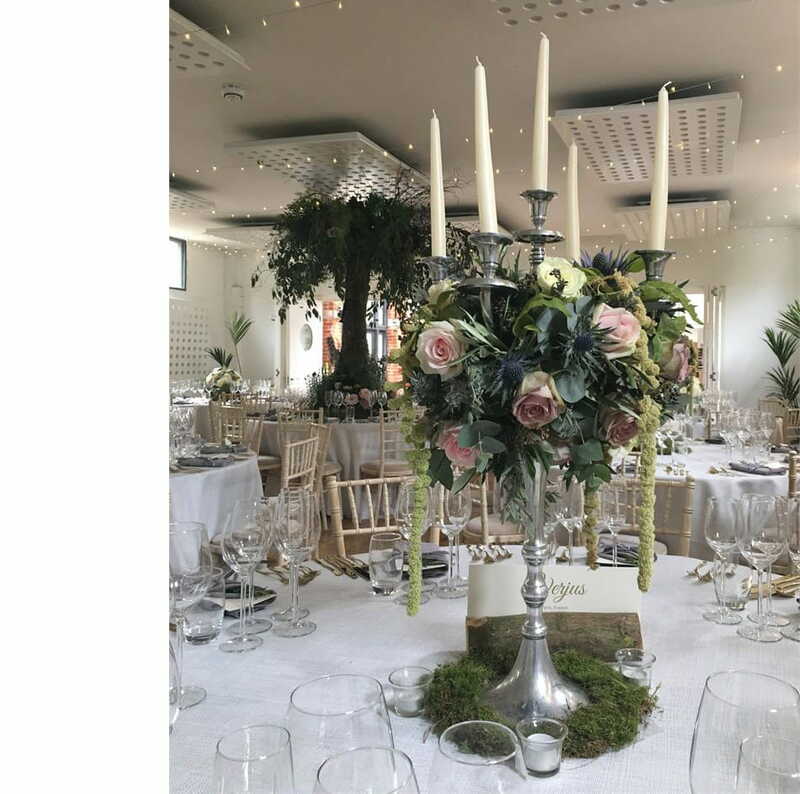 From classic candelabras to bespoke vase arrangements, we cater for every request. Created by our team of experienced event florists, all our table arrangements and produced using the finest British flowers available. At Moyses Stevens, we pride ourselves on having created inspirational event designs all over the capital since 1876. One of our favourite designs are bespoke ceiling decorations; either real or faux flowers are used to completely cover a section of ceiling, creating a stunning visual effect for guests. From tigers created from carnations and roses to specially constructed cherry blossom trees, there is no limit to possibilities of our floral sculptures.